Want to see a team implode in 20 minutes? Then watch a replay of Liverpool’s epic self-destruction on Sunday afternoon. 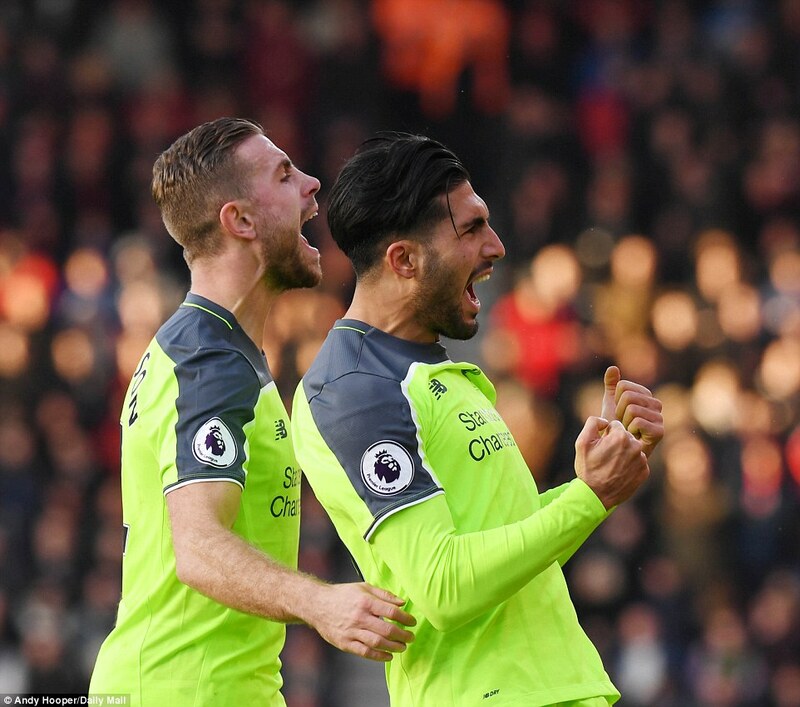 Jurgen Klopp’s men were cruising at 3-1 but somehow snatched defeat from the claws of victory, conceding three goals in the final 20 minutes to throw it all away. Credit to Bournemouth, of course. This was Roy of the Rovers stuff, a day the locals will talk about for decades. But Liverpool, courtesy of some awful defending, only have themselves to blame. The Merseysiders’ defensive deficiencies shouldn’t detract at all from this spellbinding comeback, though. 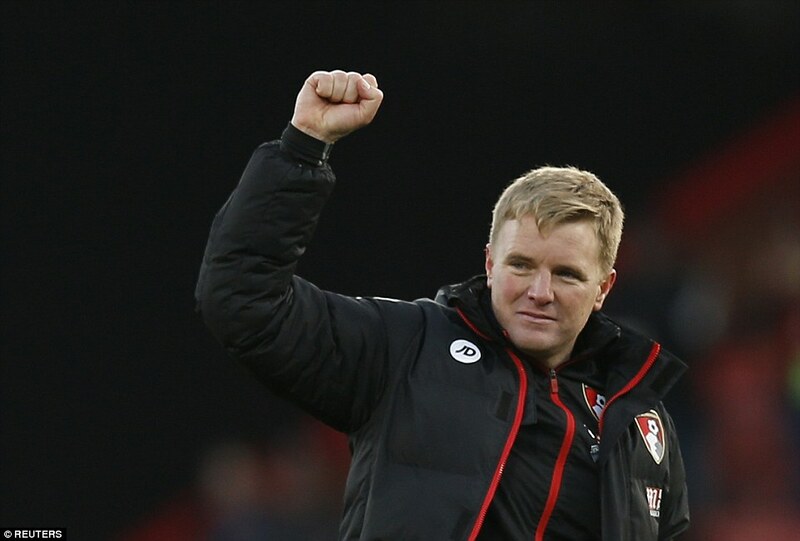 And manager Eddie Howe must take his fair share of the adulation for Sunday’s unforgettable scenes, one substitution in particular inspiring his team to this unlikeliest of wins. 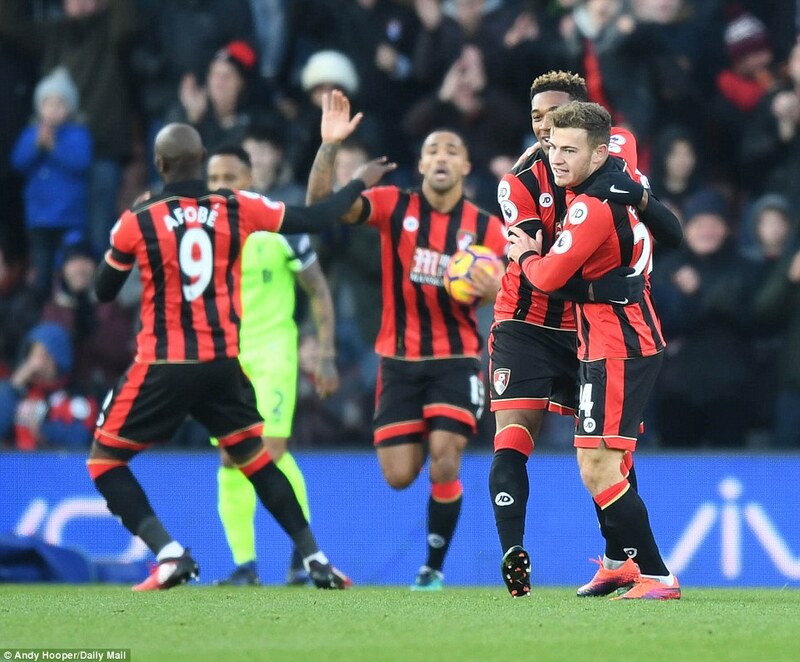 Liverpool manager Klopp won’t have known much about Bournemouth’s diminutive Scottish forward Ryan Fraser before the game. 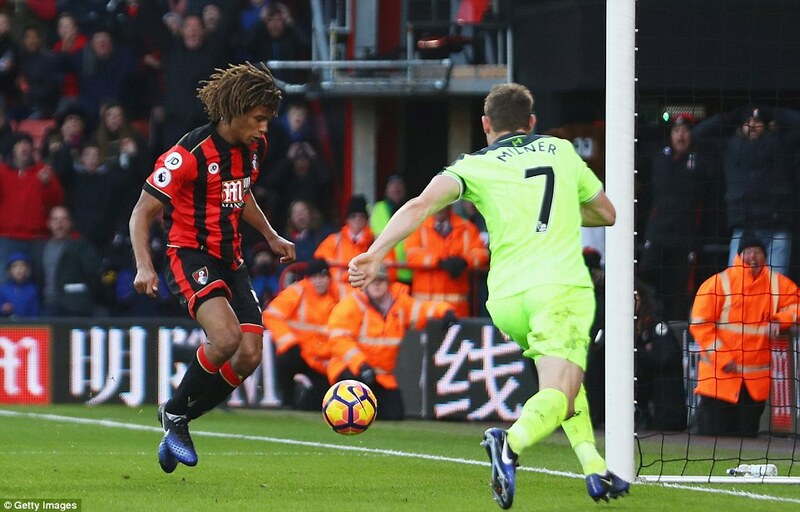 He certainly knows a thing or two about him now, Fraser coming off the bench to have a hand in three of Bournemouth goals before Nathan Ake bundled home in injury time after Loris Karius’ horrendous howler. The big question before kick-off was how Liverpool would deal without their magician Philippe Coutinho, who won’t play for six weeks with an ankle injury. And for 45 minutes it was a case of no Coutinho, no problem from the Reds. 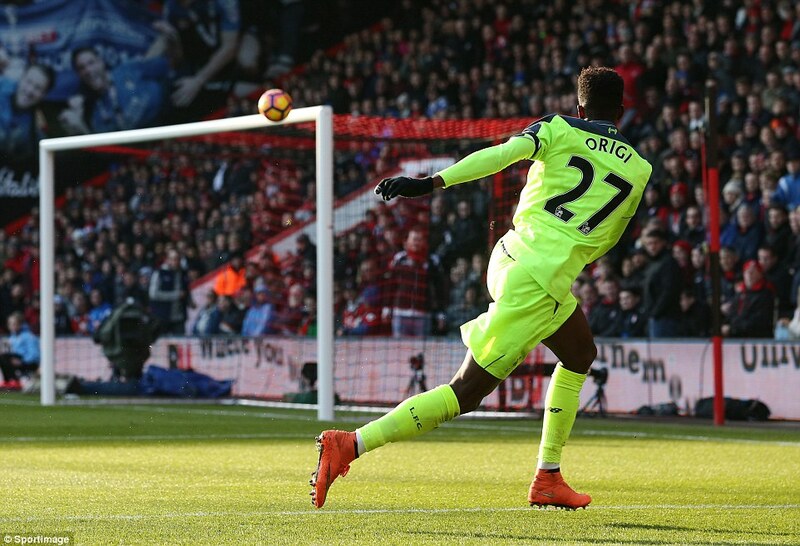 Divock Origi missed a glorious opportunity to open the scoring in the 10th minute, contorting his right foot into a position to slot home instead of tapping in from five yards with his left. He managed to himself into a terrible twist before firing wide when it would have been easier to score. Howe was in his technical area encouraging and gesticulating to his players, but they couldn’t get near Liverpool. 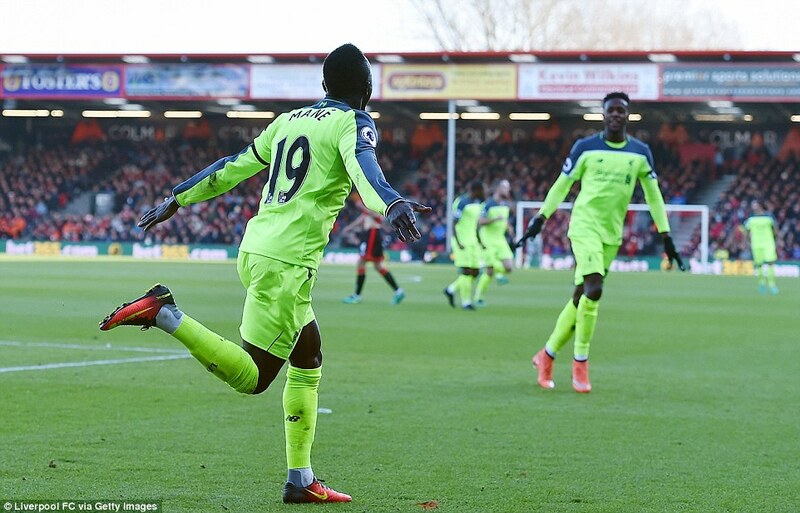 So there was an air of inevitability when Klopp’s side took the lead. The only surprise was that it took so long. 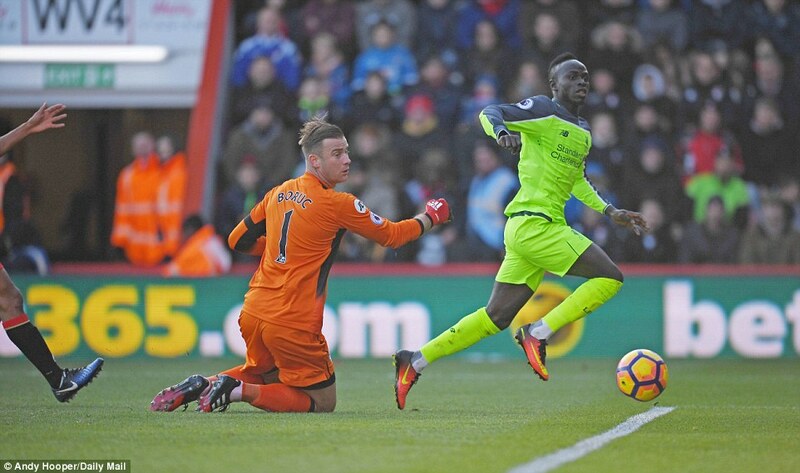 Latching on to Emre Can’s exquisite 30 yard pass, Sadio Mane rode Ake’s challenge before delicately finishing past Artur Boruc. The finish was sumptuous, but Can’s pass was even better. Utterly clinical. Bournemouth weren’t at the races. Second best to everything. And it took Liverpool just two minutes to double their advantage. 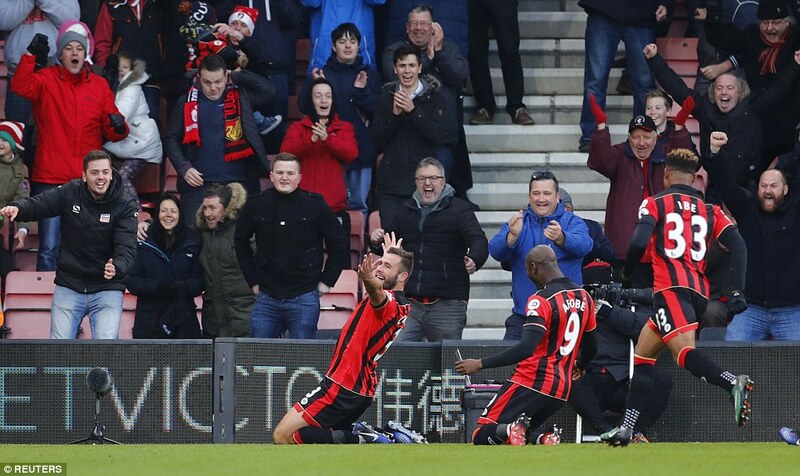 Howe will point his finger at midfielder Harry Arter for losing possession to Mane, and Boruc for inexplicably rushing out of his area in the build-up to the goal. 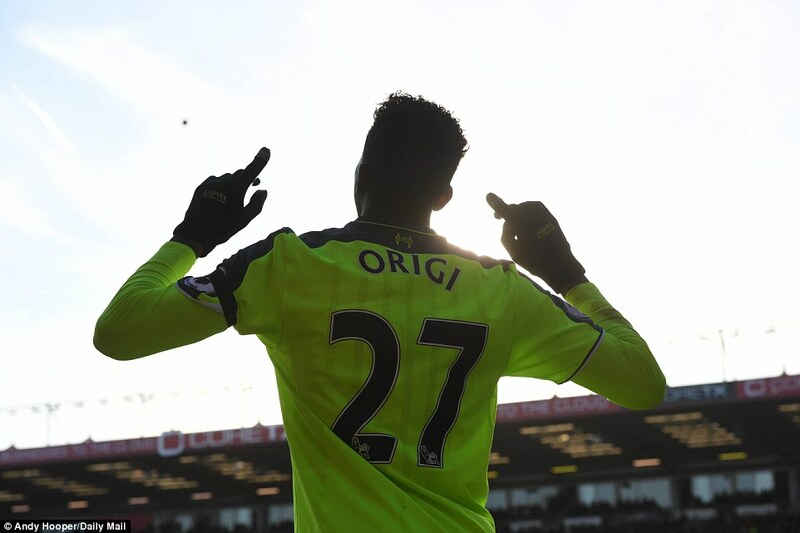 But Origi’s finish was cut-throat. 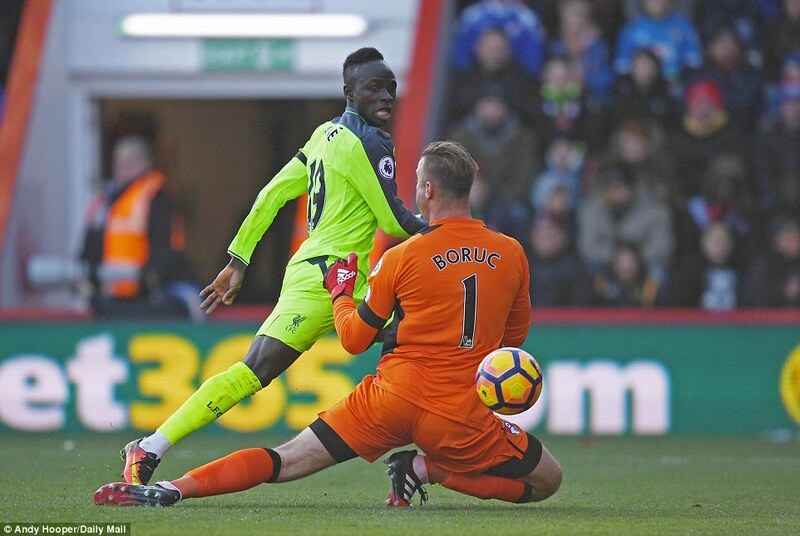 Brilliantly ruthless, running onto Jordan Henderson’s pass to glide past Boruc – before firing home from a tight angle without a thought to even slow his stride. 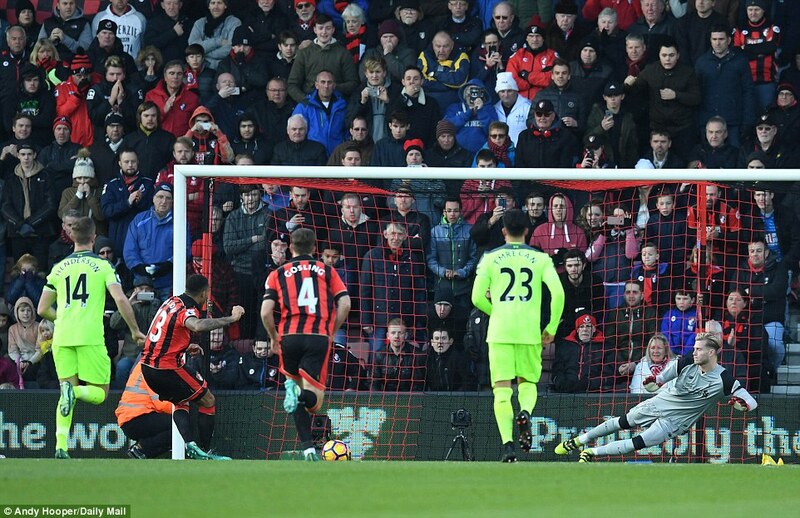 Bournemouth mustered a response before the break, Josh King seeing his near-post shot saved by Karius in the 36th minute. 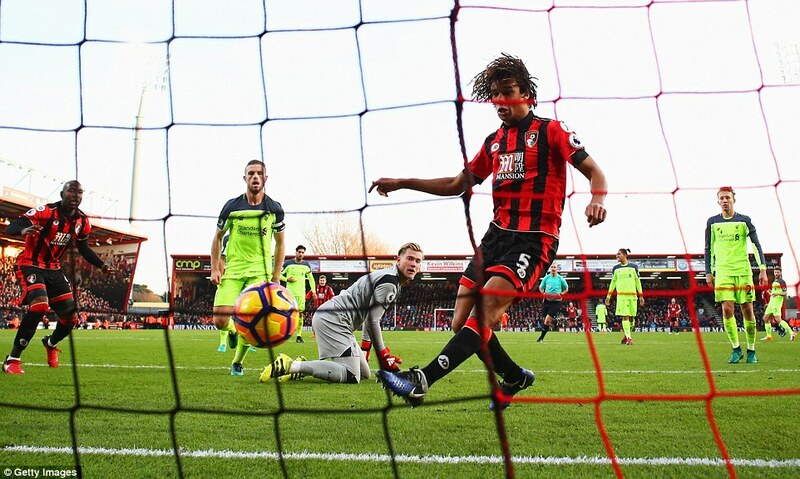 And the Cherries were furious they weren’t awarded a penalty from the resultant corner as Ake fell in the box under a Roberto Firmino challenge. Referee Bobby Madley instantly waved down Ake’s claims and replays show he just about made the correct call. There was slight contact, but not enough for Ake to go down as theatrically as he did. You couldn’t blame the Dutch defender, though. His side needed all the help they could get. If they deserved any help was another matter, however. 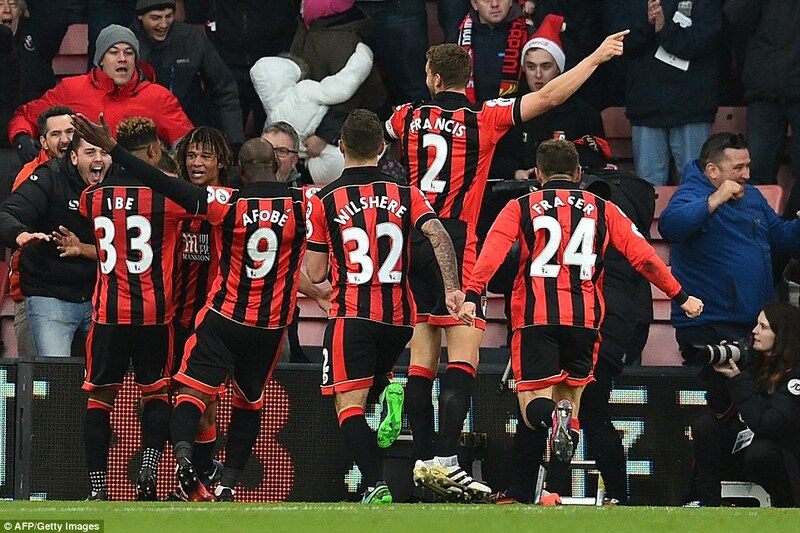 As much as Liverpool were thrilling, Bournemouth were inadequate. Something had to change for Howe’s team in the second half. 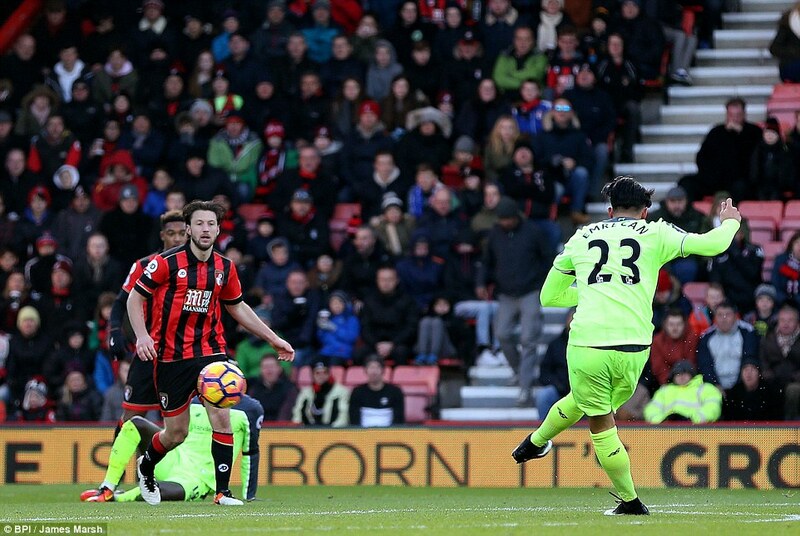 The manager introduced Jordon Ibe, who left Liverpool in the summer, in place of King in a bid to invigorate his team at half-time. 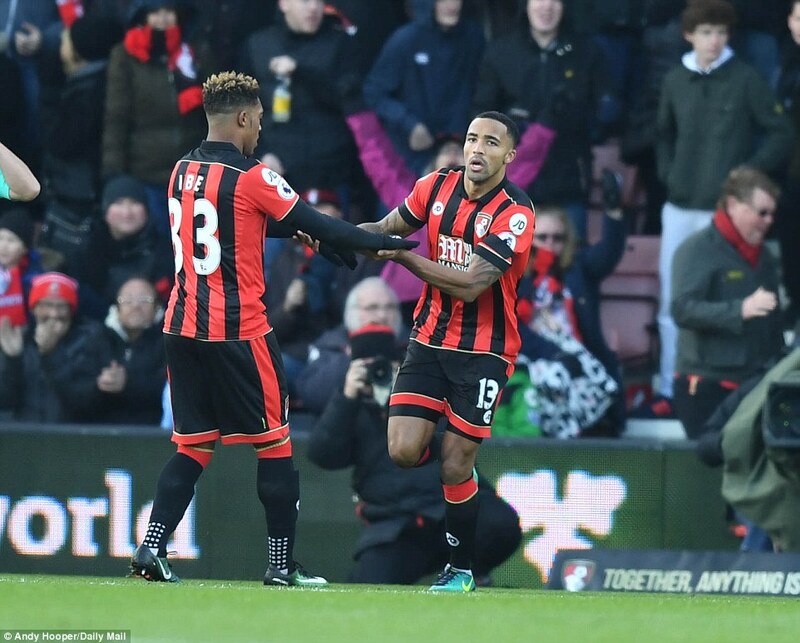 But it was Howe’s second substitution that sparked the chaos that was about to follow, Fraser replacing Junior Stanislas, who’d suffered a foot injury, in the 54th minute. Fraser’s introduction paid instant dividends; his first contribution was to win his team penalty within seconds of coming on after being tripped by James Milner. 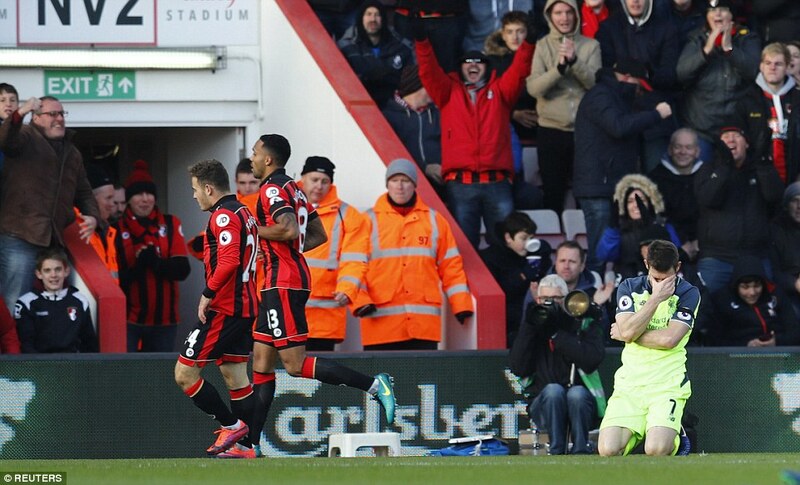 The look on Milner’s face said it all. What was he playing at? 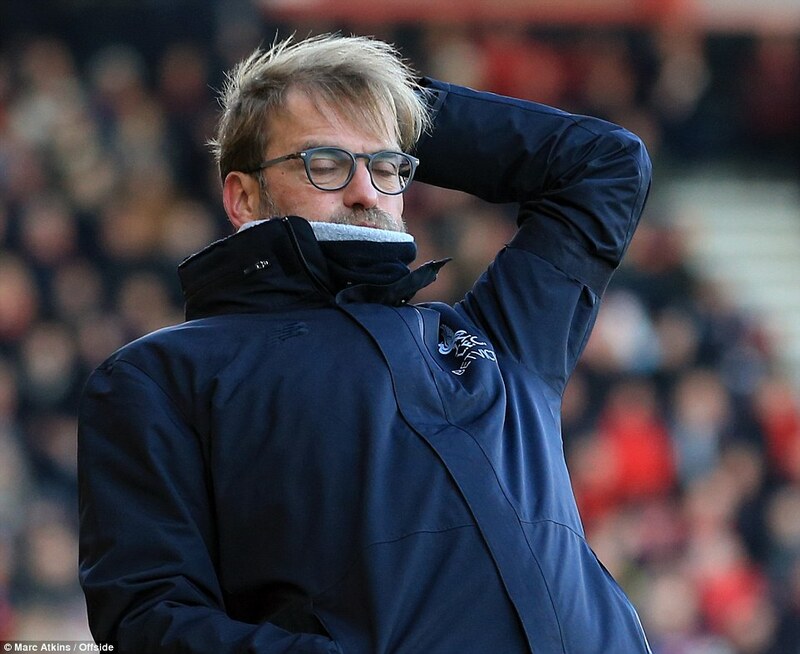 Klopp was asking himself the same thing before Callum Wilson sent Karius the wrong way. 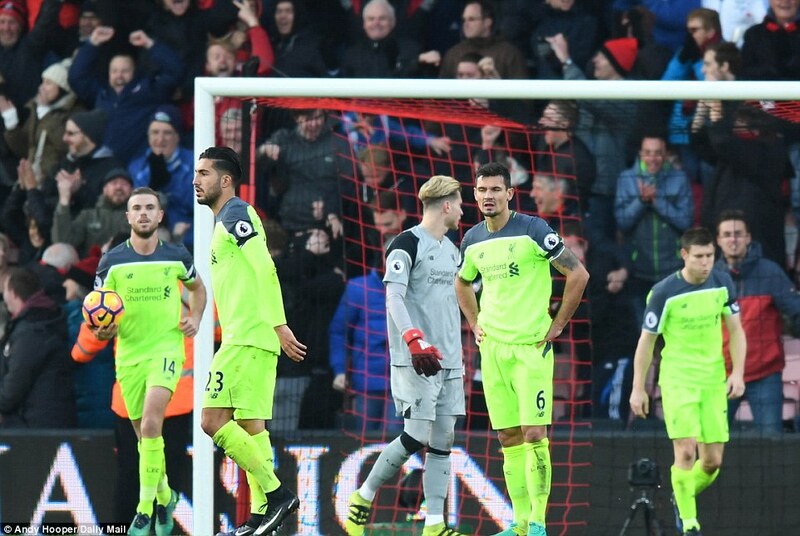 But their glee was short-lived as Liverpool notched a third in the 64th minute. 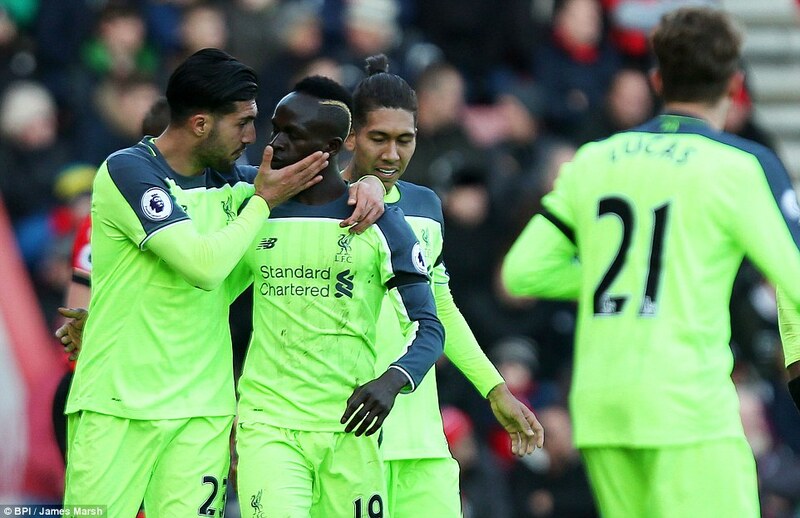 Mane powered his way down the right before finding Can, who stroked home almost nonchalantly into the top right corner to regain Liverpool’s two-goal cushion. 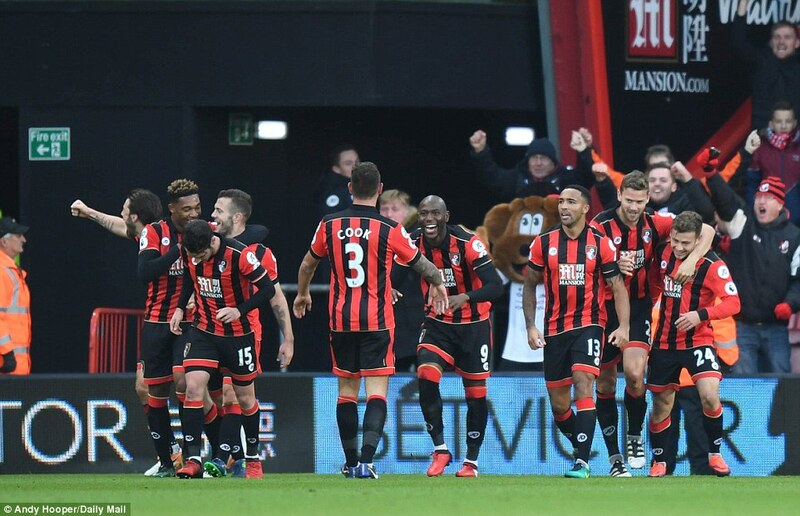 Bournemouth, though, refused to throw in the towel as they embarked on breathtaking fightback, with Fraser leading the charge. 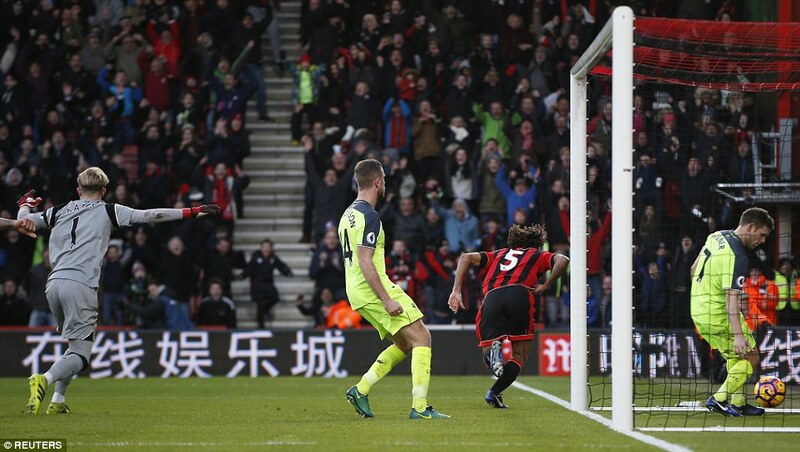 The Cherries substitute provided Bournemouth with a glimmer of hope in the 76th minute, completing a move that included Jack Wilshere and Wilson after Origi had lost possession inside his own half. The home support were sensing Liverpool were on the ropes. And they were right as Bournemouth drew level in the 78th minute. 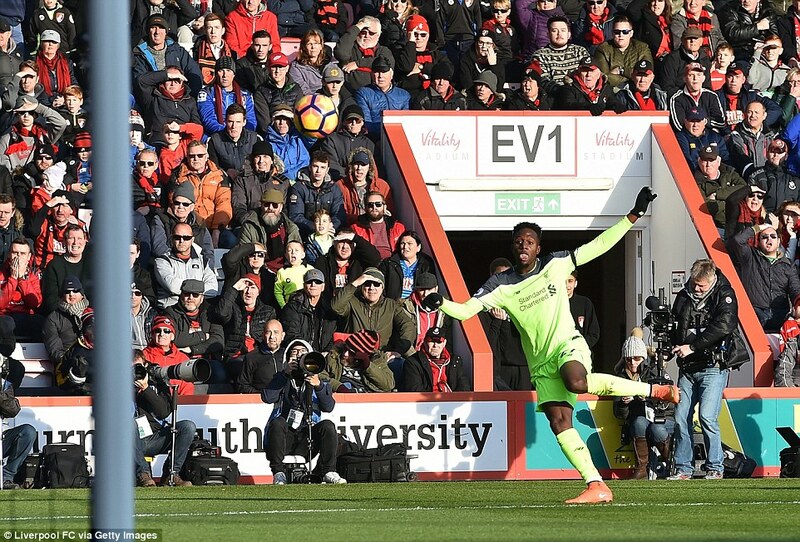 Once more Fraser was the instigator, Steve Cook expertly controlling his cross before rifling past Karius to send the Vitality Stadium into a frenzy. But three minutes into injury time, the home support were in dreamland. 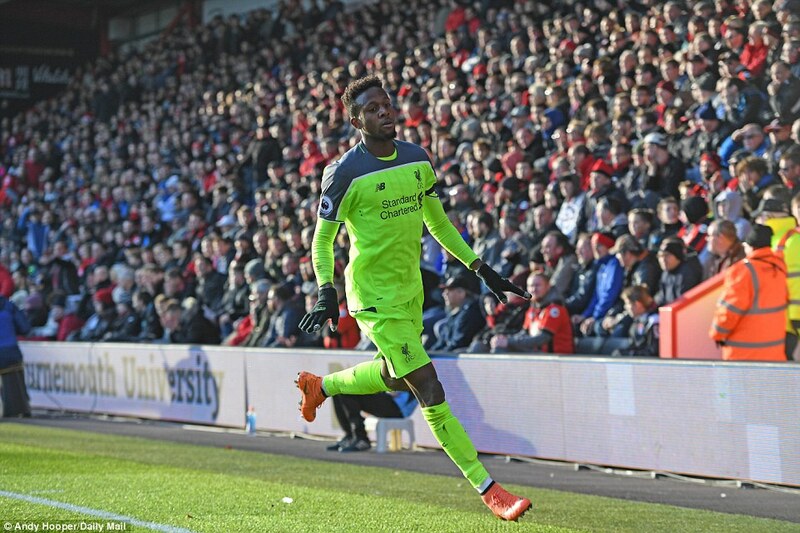 Karius should have held on to Cook’s long range effort. But, inexplicably, he didn’t. 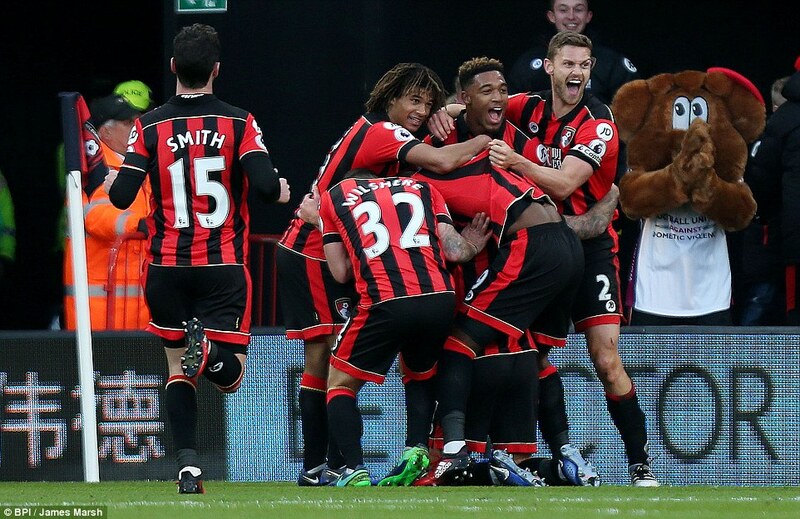 The rest will go down in Bournemouth folklore as Ake pounced on the loose ball to hammer home. A day no one will forget – as much as Liverpool will try to.